The study ranked locations based on job openings, projected job growth and cost of living. Charlotte earned No. 1, followed by Raleigh and Austin. Dallas, Atlanta and Huntsville, Ala. also made the top 10, underscoring the demand for tech professionals outside of California and Washington state. San Jose and San Francisco ranked No. 4 and 5, offering tech workers a higher median salary but imposing a cost of living that is 44% and 64% higher than the national average. More people moved away from San Francisco than any other city last year, owing to its high housing prices. The best places to live and work for tech professionals aren’t in San Francisco or even the West Coast, according to a new study which offers a snapshot of the country’s evolving tech labor market. Cities in southern states claimed the top spots, according to the study released by the Computing Technology Industry Association, an Illinois-based IT trade group. The study ranked locations based on job openings, projected job growth and cost of living. Charlotte earned the No. 1 slot, followed by Raleigh and Austin. Southern hubs in Dallas, Atlanta and Huntsville, Ala. also made the top 10, in what the study described as a geographically diverse list, underscoring the demand for tech professionals outside of traditional hotspots in California and Washington state. But the usual suspects made the list too. San Jose and San Francisco ranked No. 4 and 5, offering tech workers a higher median salary but imposing a cost of living that is 44 percent and 64 percent higher than the national average, respectively. For comparison, top ranked Charlotte has a median tech industry salary of $87,755, and the cost of living there is 1.3 percent lower than the national average. The median IT salary in San Jose is $122,242, and $110,448 in San Francisco. According to the study, more people moved away from San Francisco than any other city in the final months of last year, owing to its notoriously high housing prices. But CompTIA’s research shows that the city remains economically strong with robust job opportunities. More than 112,000 IT jobs were posted between August 2017 and July 2018, the second highest out of all metro areas, according to the study. And that demand is expected to rise by 15 percent in the next five years, CompTIA researchers project. “Opportunity in these areas continues to skyrocket faster than housing costs,” the study said. The Charlotte metro area has seen double-digit population growth in the last decade, the study found, due in part to the booming tech industry there. As one of the country’s key banking centers, the city’s finance employers — including Wells Fargo, Bank of America and Ally Financial — are drawing in a multitude of tech workers, according to the study. And while the median salaries for technologists aren’t as high as those offered on the West Coast, the below-average cost of living means workers are granted more disposable income, making the area an attractive destination, and earning it the top slot. Number two Raleigh presents a similar profile with an even lower cost of living and a mix of start-up companies and tech giants, such as IBM and Verizon, for tech workers to choose from. The study projects both Raleigh and Charlotte to have 11 percent growth in tech-sector jobs over the next five years. 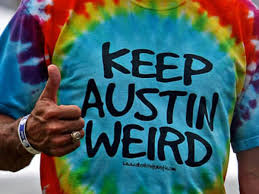 Ranked third, Austin stands out in several categories, according to the study. The city claims the highest expected job growth, 15 percent, rivaling the Bay Area. The study also touts Austin’s start-up scene and the city’s reputation as a cultural haven. The study was based on tech industry job listings posted over the past year in 20 U.S. metropolitan areas. The cities, which were selected because they had the greatest demand for tech workers, were then ranked according to cost of living, the number of open tech positions, and projected job growth in the near and midterm, according to the study.